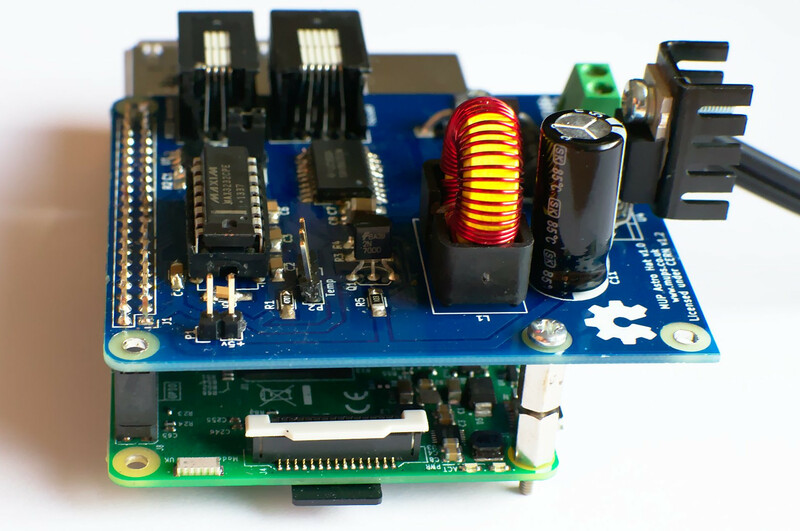 The MUP Astro CAT is an auto GPIO configuring add-on board for the Raspberry PI 3 which provides additional hardware interfaces to communicate with and control a Meade Autostar, Moonlite focuser and temperature sensors. 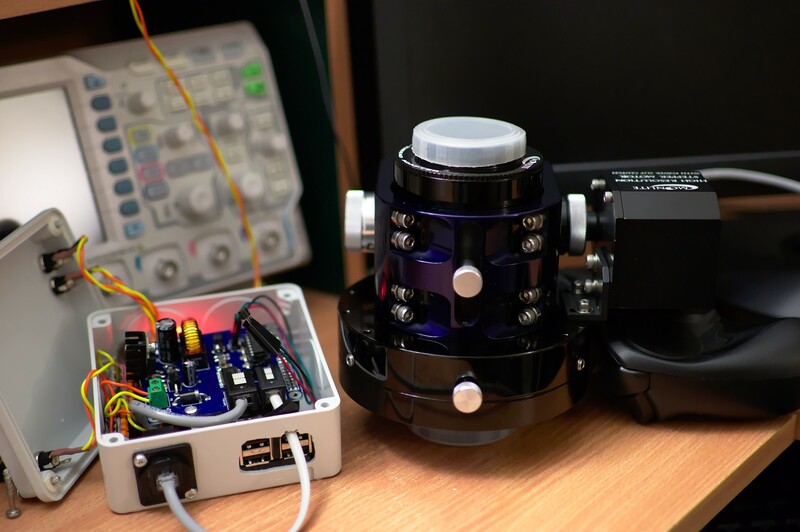 The SXVR-H9, LodeStar (excl ST4 guide port) and Filter Wheel simply connect as USB devices to the Pi. The LX90 Handset connects to the PI using an RS232 connection via RJ22 socket on the Astro CAT. The PIs GPIO pins are used to drive a Moonlite focuser via a unipolar stepper motor controller chip that handles signal timing. This avoids jitter/pause issues due to non realtime OS of the PI. 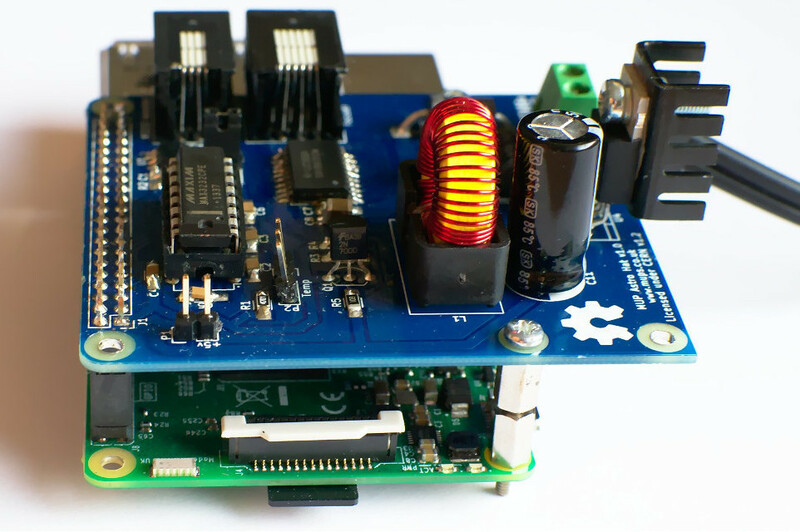 The PCB plugs into the Raspberry PI header pins in a similar way to a regular PI Hat. An INDI lib driver then completes the setup by exposing the Astro CAT focuser hardware as a generic focuser. 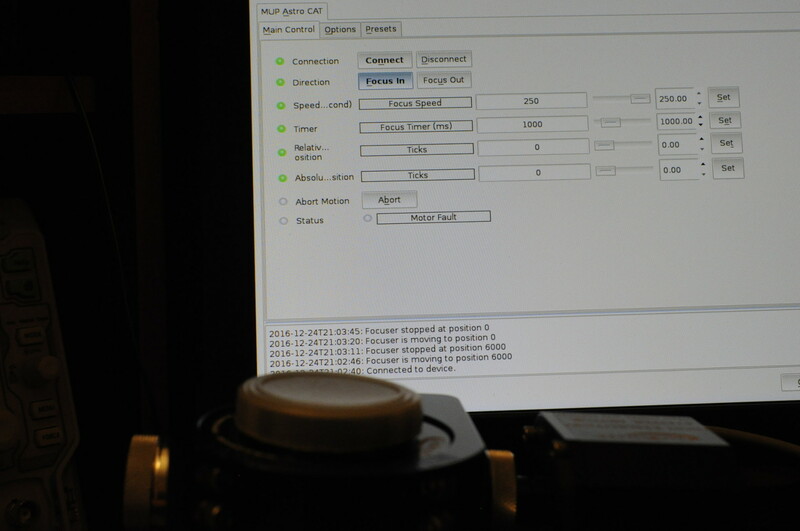 Any INDI supporting application such as KStars/EKOS can then control the focuser without further application changes. 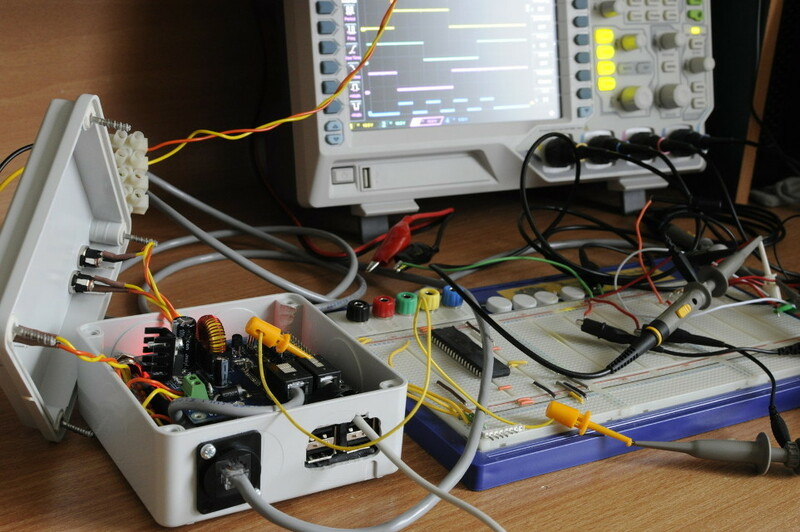 The hardware schematic and PCB layout are licensed under the CERN OHW v1.2 and the INDI driver is licensed under the GPL3. A series of blog posts linked below cover the project in more detail. This post is part of the Astro Hat v1 series.